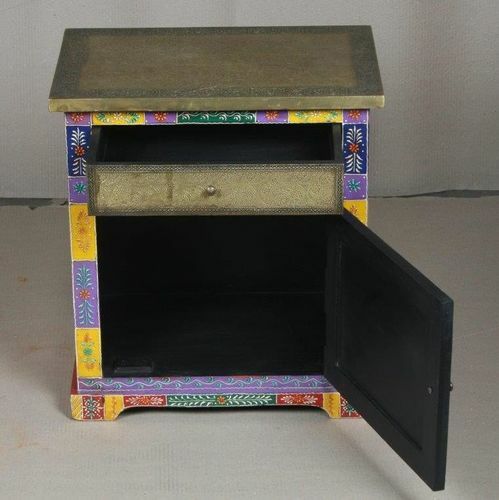 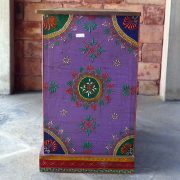 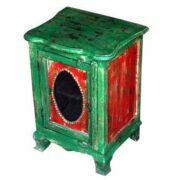 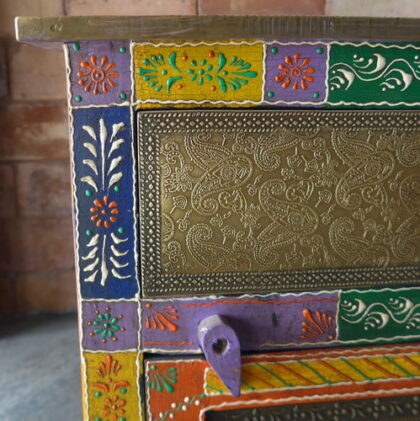 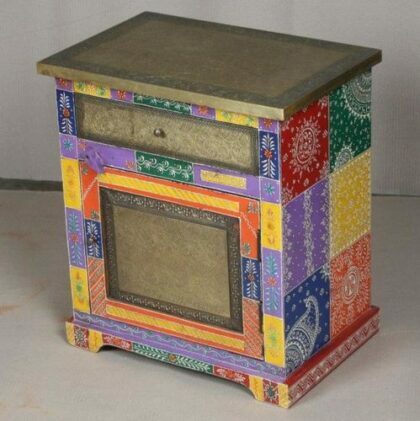 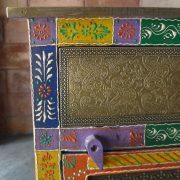 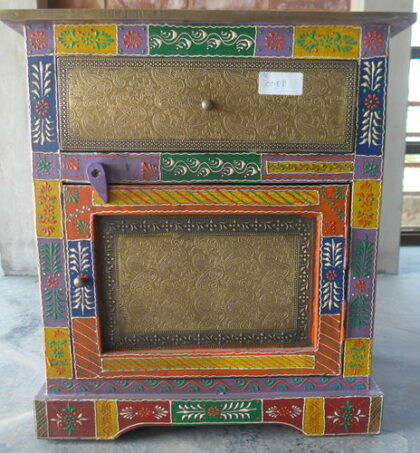 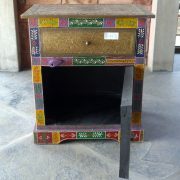 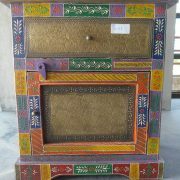 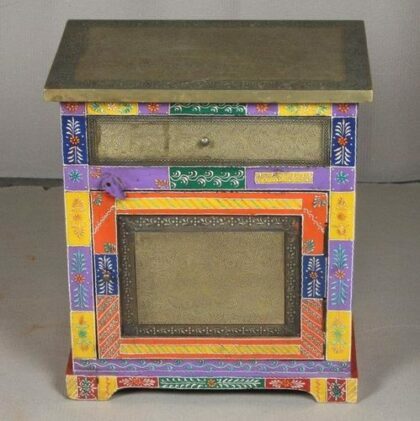 This most attractive multi-coloured hand painted bedside cabinet features both a small lower cupboard with a drawer above. 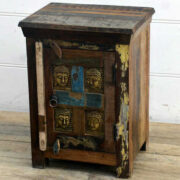 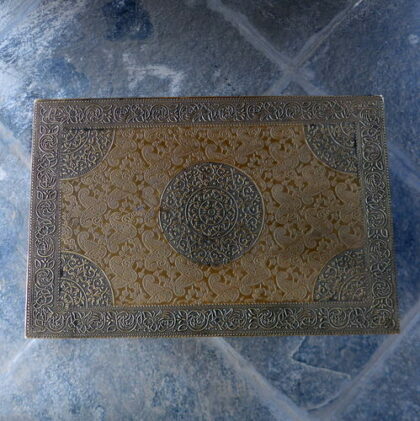 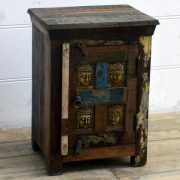 This highly decorated and pretty bedside cabinet with its embossed metalwork and construction is a real stunner and would not look out of place in a child’s bedroom or other. The top of the cabinet is covered in detailed embossed metal scroll work of fine detail, while also added to both the drawer and to the panel on the cupboard.